Your homemade sports drink just got a lot better with two words: Chia Seeds. CHIA: n /’tji-a/ the actual, indisputable, perfect supplement to anything ever. Also see: Heaven, Gift to Earth, Ambrosia, etc. Yup. That’s it. Assuming, of course, that your dictionary’s up to date. Okay, that’s not entirely true, but when it comes to a filling, nutritious, and energizing addition to your workout routine, there’s nothing better. I was never really one to down many sports drinks. Post- third-grade-softball, there was really no reason for me to have anything like Gatorade or Powerade or other commercially sold energy drinks. I was very sedentary. I didn’t move. So, it was never an issue to me. Until my health started to become a very real issue. Until my sedentary lifestyle and diet consisting solely of cheap, ultra-processed simple carbohydrates pushed me to very real insulin resistance and a picture of a future with Type 2 Diabetes. Then it was a problem. As we are (thankfully) starting to realize, in order to really truly be rid of disease, we need to get to the roots and make dietary changes. But we also have to make lifestyle changes. In my case, that meant a lot of MOVING. Exercise. I needed desperately to not be so still all the time. Our bodies were designed to move, and my body was begging me to recognize that. It’s very easy for me to get very tired during exercise, so I would often keep a bottle of lemon water, or just regular water, on my person throughout the day, and especially when I exercised. I never thought about a homemade sports drink. But when the possibility of drinking too much water came to my attention, I seriously began looking up homemade sports drinks using healthy real food ingredients. And I did find one: Empowered Sustenance’s Adaptogenic Sports Drink. Chock full of electrolytes and the adaptogenic properties of Holy Basil, or Tulsi. And there’s this homemade electrolyte drink, too. However, I had to make so many pitchers of that stuff, it was crazy! I went through them too fast. I wanted a homemade sports drink that would replenish my body and last. The perfect solution for the best homemade sports drink! So, Let’s go over the components of this fantastic homemade sports drink. Tulsi! Tulsi tea is known as an adaptogen. Adaptogens are “a unique group of herbal ingredients used to improve the health of your adrenal system, the system that’s in charge of managing your body’s hormonal response to stress.” (x) They help your body “adapt”, if you will, to the stress things like exercise put on it. It helps bring your body to a state of harmony, of equilibrium, while you handle life’s stresses. It’s the perfect addition to any homemade sports drink. Chia Seeds. We already went over the technical definition earlier… 😉 But in reality, chia seeds are truly great. They are loaded with protein, fiber, antioxidants, calcium, phosphorus, and magnesium. Chia seeds are from a tree native to South America, and they were a dietary staple for the Aztecs and Mayans. Heck, “chia” is derivative from the Mayan word for “strength”. (x) In other words, they are pretty much destined to be the star of any homemade sports drink. Apple Cider Vinegar. ACV helps alkalize the body and balance the body’s pH, which can also help boost the body’s energy real quick. The key to all of this is balance. Calcium and Magnesium Powder. Contrary to some beliefs, calcium is absolutely required (1, 2, 3) for energy production! 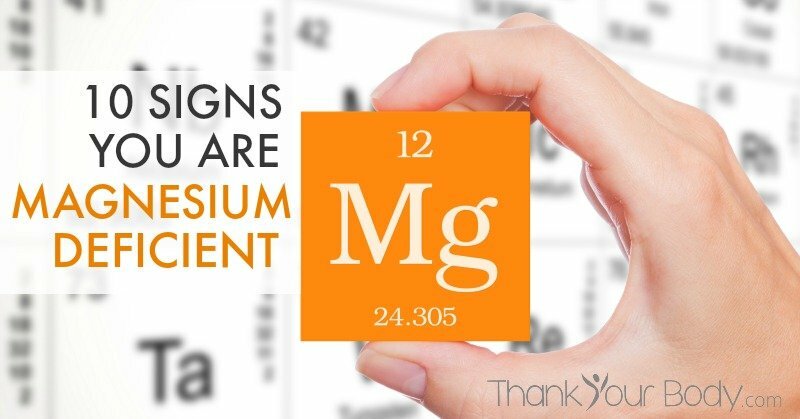 Calcium and magnesium together helps the body absorb glucose (and get it out of the bloodstream!) and convert it to energy. Raw Honey. This provides some carbohydrates, the body’s preferred source of energy (without the insulin surge of white sugar! ), while also providing an increase in calcium absorption, vitamins, minerals, and live enzymes. The healing powers of honey are truly remarkable. This helps provide energy while healing the body of any stresses it may endure during exercise. (x) And, a plus, natural honey reduces blood glucose levels in comparison to sucrose and dextrose! (x) And the sweetness is just what you want when making a tasty, but healthy homemade sports drink. This tulsi and chia seed sports drink is a simple way to help your body stay hydrated and replenished. Boil 5 cups of filtered water with the tulsi tea. Once it reaches boiling, bring it down to simmer and let the tea brew for about 10-15 minutes. Mix in the ACV, CalMag Powder (don't be surprised if it starts to bubble at this point), the Ground Cinnamon, and the Salt. Take off heat and add 8-10 ice cubes. Let it sit for a bit. The point here is to allow it to cool to room temperature. Mix in the 3 Tbsp Raw Honey and the 9 Tbsp Chia Seeds a couple Tablespoons at a time. Continually mix it and mix out the chia clumps. Add in the Peppermint Oil. What do you do to supplement your workouts?